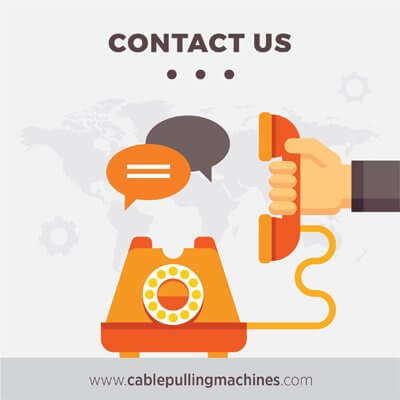 You are here: Home / Cable Pulling Winches Blog / Cable Pulling Machines / What is a cable drum jacks used for? 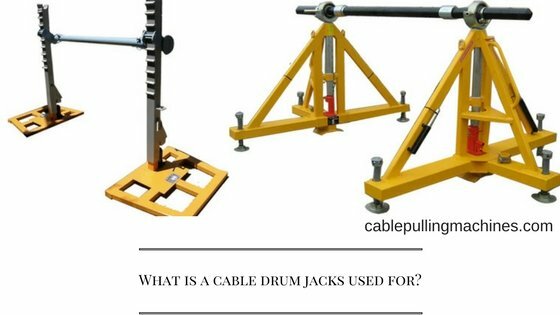 What is a cable drum jacks used for? Cable Drum jacks help you to safely accomplish your job. They are made of fully fabricated steel and are very durable and available in different lengths as well. The cable drum jacks are available in size 1200mm × 320mm × 300mm.A spindle bar is used in Cable Drum Jack for loads as well as unloads. The size of the spindle bar matches as per the cable drum bore sizes. The spindle bar is durable and available in different kinds of length. They are available in different sizes and are resistant from corrosion. They are also available with cable drum locking collars that are used to maintain the balance of the cable drum balance. The cable drum jack comes in sizes of 50mm ID. A normal cable drum jack has a 3-ton capacity SWL per pair. It has a base area of 830x700mm, Weight per Pair 106Kgs.It is accompanied by a spindle bar, and locking collars. The jack towers are designed for lifting heavy drums. They are engineered in a perfect manner with hydraulic jacks and adjustable height spindle support blocks. Cable drums are becoming larger but not heavier. Cable drum Jacks are used by well known construction companies as well as other projects to pull its from one place to another and support the cable winches as well. Cable Drum Jacks are easy to use and they are very technically sound as well. These jacks come in an affordable price and they are also very durable as far as quality is concerned. They come with a 2-year warranty. If you are looking for the best cable drum jack, then try the above ones. https://cablepullingmachines.com/wp-content/uploads/2017/01/Cable-Drum-Jacks-1.jpg 315 560 erkan1095 https://cablepullingmachines.com/wp-content/uploads/2017/03/cable-pulling-machines-logo-1.jpg erkan10952017-01-10 11:11:542017-01-10 11:00:41What is a cable drum jacks used for?